Small in size, BIG on fun! Each wooden mini block is only 2" x 5/8" x 5/16"
This mini wooden stacking game plays like Jenga® and while small in size is still big on fun. Each wooden mini block is only 2” x 5/8” x 5/16” and the entire 36 block stack is less than 4” high. 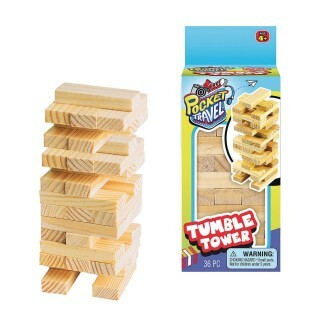 Players can use their fingers or toothpick (not included) to move and stack the wooden blocks. 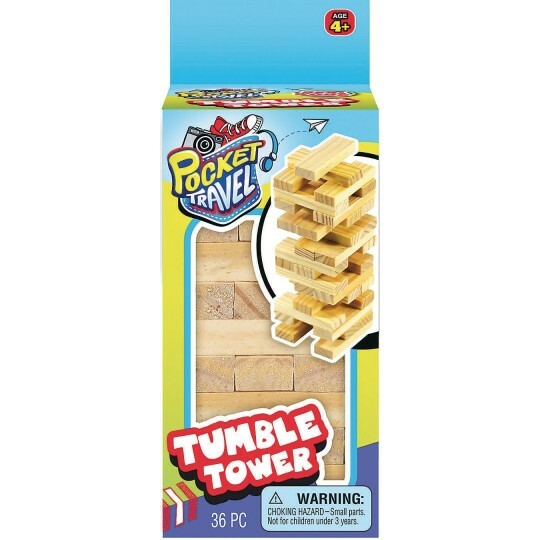 A game of skill for 2-4 players, ages 4 and up. This game was the perfect size to travel with! I bought this to bring on the road with my children to keep them entertained. It didn't take up too much room and was a great hit.